So far Brandy Wheeler has created 308 blog entries. The Pure Michigan Governor’s Conference on Tourism was held in Traverse City last week. Representatives from convention and visitor bureaus and hospitality professionals from across Michigan gathered to learn about the state of our tourism state. We had a legislative report from a panel of lobbyists in Lansing. Our keynote speaker addressed the State of the American Traveler. And Dave Lorenz provided an update from Travel Michigan including plans for this year’s Pure Michigan campaign. Since I know many of our clients missed out on attending I thought I’d share a recap of the event. Here are some of the hot topics, statistics and strategic plans discussed at the Pure Michigan Governor’s Conference on Tourism that caught my attention. Panelists: Michael Krombeen, Partner, Midwest Strategy Group; Matt Sowash, lobbyist, Michigan Legislative Consultants; Justin Winslow, President & CEO, Michigan Restaurant & Lodging Association; Evelyn Zois Sweeney, Legislative Consultant, Muchmore Harrington Smalley & Associates. The panelists discussed topics of legislative interest to the hospitality industry and weighed in on the current climate in Lansing. Governor Whitmer’s proposed budget includes cuts to funding for Pure Michigan. Panelists agreed this is too early in the budget talks to be certain of funding dollars for this year. Lobbyists from Michigan Legislative Consultants agreed they are going to educate and push for as much Pure Michigan funding as they can. This is not only an issue of economic importance, but a workforce issue as well. Currently over 165 districts have waivers for pre-Labor Day start. Legislative discussions are exploring alternative schedules. These include allowing Tues-Thurs classes in August, as well as options for year-round classes. Legislation has been proposed to allow schools options to deal with the increasing number of snow days. Possibilities include tacking on additional hours to the school day, and snow day forgiveness for Governor-declared emergency days. Panelists discussed addressing short term rentals in terms of regulation. The primary goals are to ensure everyone is paying into the same taxes & assessments. They are also seeking some form of registration, possibly by directly licensing platforms such as AirBnB. This is becoming a hot button issue for the hospitality industry as employees struggle to afford insurance. Panelists discussed the likelihood of making significant changes this year, with mixed opinions. 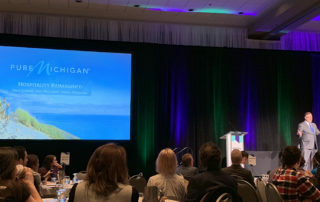 Erin’s presentation, “The State of the Global Traveler – Drawing Wanderlust to Michigan,” presented statistics and trends to watch in 2019 among travelers. Here research reflected the mindset of global travelers, indicated some key demographics to focus on, and gave insight into the changes we’re seeing. Here are few take-aways that illustrate the current state of the industry. The bad news: Leisure trips are down from 4.2 trips annually to 3.8 trips, and budgets are down 5.6%. Personal finances, work and the cost of travel are the primary reasons for the decrease. The good news: Travel is still listed as the second most important leisure activity, just under spending time with friends and family. For younger travelers, however, travel competes with a lot more activities. 4 primary traveler types: Generation Z, the National Park Traveler, Family Travelers and Aspiring Michigan Travelers. The youngest travelers are that of Generation Z—ages 15-24. To reach this audience you’ll need video. You can find them on Instagram, YouTube and Snapchat. Believe it or not they already make up 13.9% of the travel market. This audience tends to be young and travels with their children. They use all types of planning resources. Primary interests include culture and food. They make up 31% of American travelers. Representing 47% of American travelers, this is clearly a popular target audience. This group is largely made up of women who frequently travel outside the U.S. This is a very social audience with 50% using Facebook to post both before and after their trips. They like AirBnB and are drawn to cultural and culinary experiences. This is an ethnically diverse audience, largely made up of millennials and Generation X. They like to research travel destinations through travel apps, social media and tourism bureaus. Online video is important and influential. Only 16% of American travelers aspire to visit Michigan. So how can we compete with other states and attract more travelers to Michigan? (Can you believe we fall behind Ohio!) The number one reason a destination remains top of mind to visitors is because they’ve been there before. The influence of friends and family impacts 65% of travelers. To grow our Michigan brand we need to gain loyalty. We need our visitors to continue to share their love of this region with friends and family—especially if they’ll share it on their social channels. This 501c3 non-profit is made up of volunteers from the tourism industry who want to give back to projects across the state of Michigan. They tackle small projects throughout the year and host an annual multi-day volunteer event in a select location. This year’s project is in our own backyard. Michigan Cares for Tourism is seeking volunteers for the 2019 event at the Grand Traverse Lighthouse in Leelanau State Park, September 16-17, 2019. There are enough projects for 325 volunteers! To register visit michigancaresfortourism.org. C’mon Traverse City, let’s send some volunteers to help our neighbors. It’s a good excuse to hang out in a park on a Monday and Tuesday in the fall. To kick off the conference, MC4T held an event at Munson Manor where volunteers donated toiletries, cooked food and tackled painting projects. Check In Michigan, the organization behind the Pure Michigan Governor’s Conference on Tourism, donated $10,000 to MC4T, with donations made on behalf of the conference speakers. Dave Lorenz, Vice President of Travel Michigan made his annual trip to the stage to provide an update on the state of our tourism state. He delivered a report on the investment and returns on the 2018 Pure Michigan campaign. Next he shared a few highlights and top performing projects which earned significant results. And we wrapped up by hearing about some focus points for 2019. Here are a few of the take-aways. Want to check out all the details? Here’s a link to the Pure Michigan Advertising Effectiveness Study. You can find more about what Travel Michigan is doing for you on Michigan.org. At the bottom of the page click Travel Industry and then look for Research. Nick Nerbonne, MEDC Digital Media Director responsible for Pure Michigan social media accounts provided some additional insight during one of the social media sessions. Facebook engagement is down, however user base is still growing. Instagram engagement is up by 75%, due in part to the popularity and use of Instagram stories. Pure Michigan has been exploring some longer-format feature videos to provide in-depth experiences. They include interviews that explore why people are passionate about these activities. Two hugely popular social media campaigns were hashtag projects that drove user-generated content. The #FallFilter invited fans to share fall photos. Pure Michigan selected 5 photos each Friday and reposted. Another campaign debuted on billboards in Chicago seeking images at #LongLiveSummer. The digital billboard published user photos from that hashtag, sharing them on billboards for all to see. Top social media post subjects in 2018 from Pure Michigan included images of the Mackinac Bridge, fall foliage, wildlife, ice waterfalls, Vernors lighthouse cans and blue ice on the Straits of Mackinac. Favorite fan subjects to share were sunsets, fall colors and Michigan lakes. Pure Michigan partnered with influencers and publications last year to grow their brand awareness. Ginger Zee, meteorologist on Good Morning America and a Michigan native, was part of a social media promotion. They also teamed up with Outside Magazine for an engaging online experience that involved video creation, a landing page and interactive trail map. Other notable projects included the Pure Michigan 18 – featuring 18 signature golf holes across the state in a season-long invitation to share your experience playing that hole. And an Urban DNA video series with Jason Hall was created to boost the state’s appeal for travelers seeking a world-class city experience. We wrapped up with some sneak peeks into plans for 2019. Pure Michigan intends to focus more on digital platforms, targeting millennials, promoting the Upper Peninsula and highlighting our Dark Sky Parks. One other significant take-away which made me very proud is our state’s focus on accessibility. If there was one buzz-word of this year’s conference that would be it. All three winners of the Stars of the Industry award for tourism innovations were programs and organizations supporting accessibility. Pure Michigan is embracing the opportunity to make our state more friendly to people with disabilities. And I for one couldn’t be happier to see it. 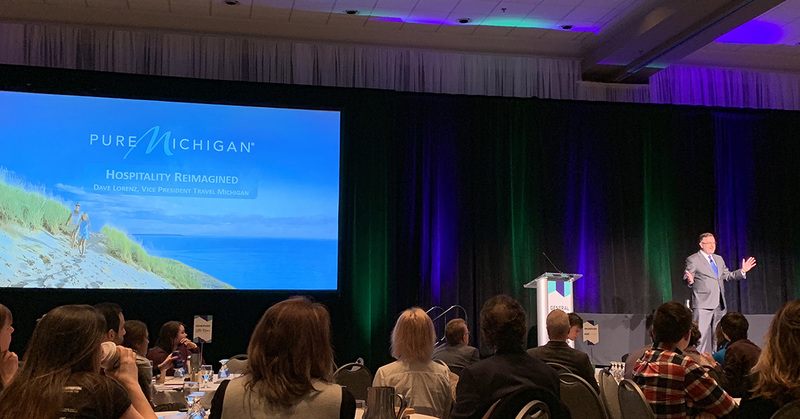 With three days of meetings, events and networking there was a lot to take in at the Pure Michigan Governor’s Conference on Tourism. It was great to see the new conference center at the Park Place Hotel, and the remodeled Governors’ Hall at the Grand Traverse Resort & Casino. Traverse City Tourism played host to a bustling crowd of tourism professionals from across the state. And I even had a chance to meet a few people who mentioned they tuned in to our channel and saw me on TV! Now it’s time for us all to return to the business we live everyday: celebrating the reasons we choose to call Pure Michigan our home. Spend a morning at the farmer’s market in northern Michigan and you’ll see how lucky we are to live in Michigan. But the farmer’s market certainly isn’t just for farmers anymore. It’s a gathering place. It’s where locals and visitors meet the growers and makers. The best part about farmer’s markets is the opportunity to buy local. Whether we’re talking fruits or vegetables, beer or wine, soaps or lotions, salt or sugar, buying locally-produced goods supports the area economy. Not only do farmer’s markets offer fresh food, local brews, and natural products, they also provide great entertainment! With vendors that are so good you can’t say no, we are used to watching our money turn to fruit, and occasionally, watch it DISAPPEAR like magic. This young entrepreneur will keep you on your toes as he makes the seemingly impossible, possible. Providing good fun for the whole family! In this video we’ve featured two of Traverse City’s family-run farm markets Groleaus Farm Market just south of Traverse City, and Gallaghers Farm Market to the west. 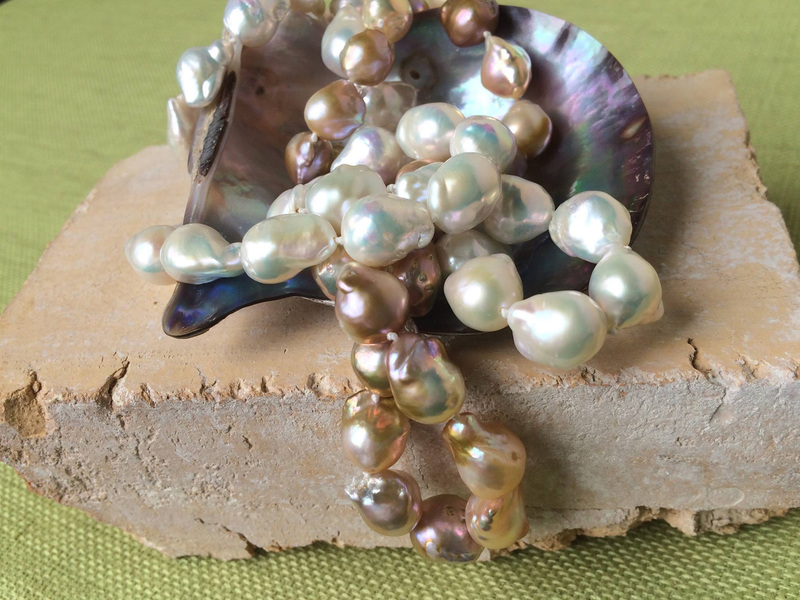 Click to get a tour of their markets and hear their stories. These are just two great examples of local farm markets to discover as you explore the highways and back roads of our region. The list of farm stands, u-pick farms and independent markets in northern Michigan is long. Our friends at Taste the Local Difference have done a great job gathering that info together in one place. For details visit them online. Farm markets aren’t the only way to eat fresh, and eat local. Many restaurants in the area support local farmers so stop in for a meal or a snack. Check out our Dining Guide, to browse menus from area eateries. Or for easy access on your iPhone or Android download our app and be a traveler in no time. Thanks to our summer intern Carley, for the Day at the Market video featured above, which she filmed, edited and post produced. 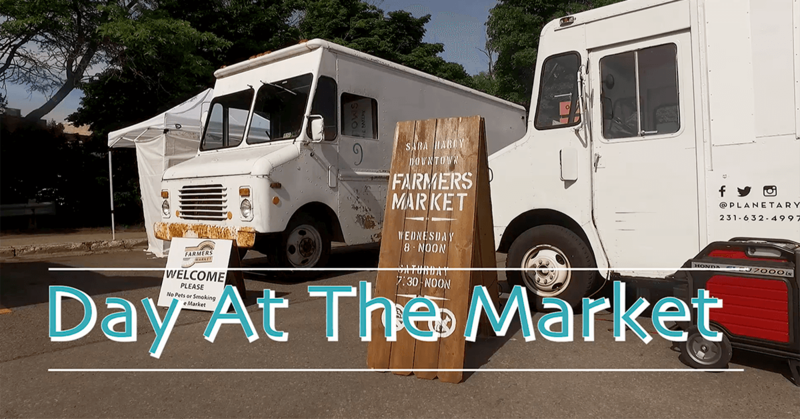 Watch it for a glimpse into her journey through the Sara Hardy Farmer’s Market in downtown Traverse City. National Lighthouse Day dates back to 1789. On August 7th many moons ago, Congress approved an act for the establishment and support of lighthouse, beacons, buoys, and public piers. It was not until 200 years later, in 1989 that this important Act received it’s own day of recognition. Happy National Lighthouse Day! Celebrate today and visit a lighthouse that’s not far away. Located on 45th parallel the Old Mission Point Lighthouse is a popular park and playground along the shore. Pack a picnic and spend the day. There are beautiful hiking trails surrounding the lighthouse. It’s also a museum open for tours, and in search of volunteer keepers to serve as tour guides. Directions: take M-37 to the end of Old Mission peninsula, approx. 22 miles from Front St. in Traverse City. The oldest operating light in Michigan —and perhaps the most photographed— Point Betsie is a must-see on a visit to Benzie County. It’s a great spot to hunt for fossils like Petoskey stones and Charlevoix stones. The lighthouse is open for tours in the summer Thursday – Sunday. Directions: take M-22 to Pt. Betsie Rd, 4 miles north of the blinking light in Frankfort. Guiding ships safely through the Manitou Passage, the South Manitou Island Lighthouse is an important beacon in Lake Michigan. It’s part of the Sleeping Bear Dunes National Lakeshore, with tours that take you to the top for an incredible panoramic view of National Lakeshore. At the tip of the Leelanau Peninsula you’ll find the Grand Traverse Lighthouse Museum. For a glimpse into our maritime history take the tour, or better yet, ask about their guest lightkeeper program. The lighthouse and museum are open May through October, and weekends in November. The Frankfort Lighthouse marks the entrance to the Betsie Bay, a popular port for fishermen and sailors. You’ll find kids jumping from the pier in the summer, surfers riding the waves well into the fall, and the most storm watching along the north and south piers when the wind is high. Plus it’s a spectacular spot to watch the sun say goodnight to Lake Michigan. The importance of lighthouses is hard to ignore. Especially when you consider the fact that at one time, the beacon of light could be seen across almost all of America’s shoreline! 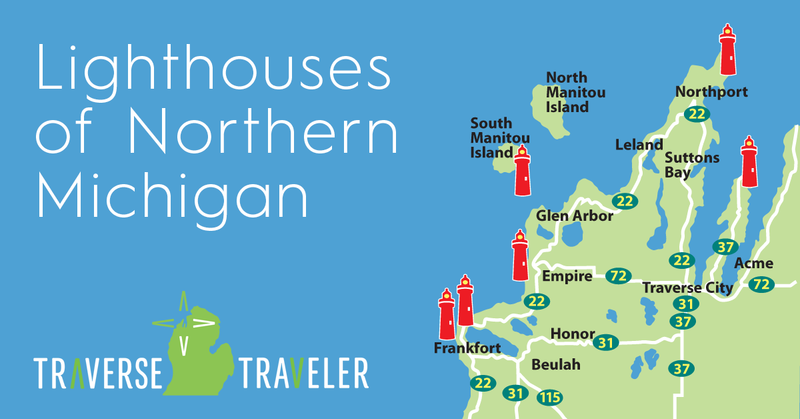 Have you visited any northern Michigan lighthouses? Let us know your favorite in the comments below. For more information on lighthouses in the area, and get directions right from your phone, download our mobile app. You’ll find them listed under the Attractions section. The Traverse Traveler app is a handy way to navigate through the Traverse area and discover must-see destinations like these. In honor of Michigan Wine Month Traverse Traveler created the Northern Michigan Winery Guide. This at-a-glance reference is designed to help travelers who are wine tasting in the Traverse City, Michigan region. Which winery should you visit? Are you visiting Leelanau Peninsula, Old Mission Peninsula or another part of our region? Are you wine tasting only, or are you looking for cider or mead? Do you want vineyard views, or a view of the water? Every winery has something unique to offer their guests. For the Northern Michigan Winery Guide we focused on answers to commonly asked questions. 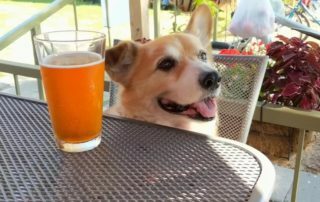 We gathered information on tasting fees. We noted the wineries with wine clubs. And, since destination weddings in Traverse City are so popular, we highlighted wineries equipped to host special events. This infographic provides the answers to the most common questions about planning a wine tour in Traverse City. One of the best reasons to spend the day wine tasting in northern Michigan is taking the opportunity to explore our beautiful area. The vineyards and orchards, rural landscapes and small towns are part of the wine tasting experience. The scenic route is your path to adventure. To help navigate from one winery to the next, use the Traverse Traveler app. The geo-location feature will sort the listings to show wineries closest to you. And you can use the maps to get turn-by-turn navigation. It’s important to note our wine region is growing and changing all the time. 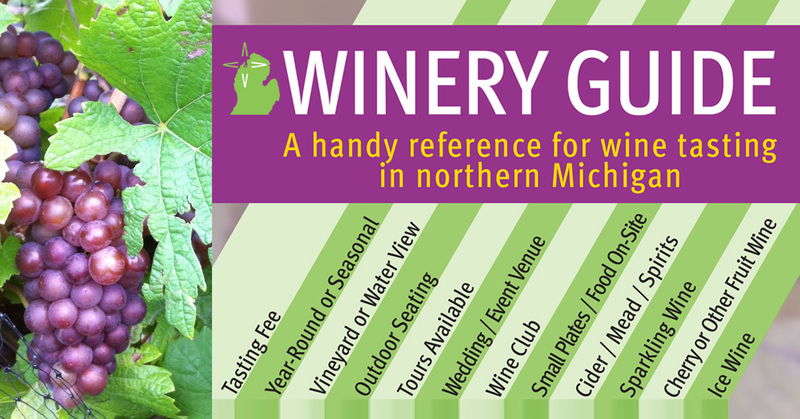 We anticipate new additions, updates and edits to the Northern Michigan Winery Guide. If you have new information that would help us keep it current, or tips for categories you’d like to see in the future, please leave us a comment or contact us. ©Traverse Traveler and TraverseTraveler.com. Content and links may be shared provided that full credit is given to Traverse Traveler and TraverseTraveler.com with direction to the original content. Unauthorized use and/or duplication without express and written permission from this site’s owner is strictly prohibited. Is a vacation or staycation in Traverse City on your mind this spring? The kids have been cooped up at home long enough. Spring Break is a popular time for the locals to get-away, which means it’s a little less crowded on the streets and in the hotels. So here’s my list of 9 things to do with kids on a Traverse City staycation. Watch the videos for more details on each destination! If you’re traveling for vacation odds are nobody has to cook. So, I think it’s fitting that a staycation includes going out for breakfast. If you’re an early-riser check out Round’s, a true local hang-out, where the raspberry french toast is out of this world. Look for their menu in our Dining Guide. The State Theatre and Bijou by the Bay have a once-annual free movie fest, which lines up with Traverse City’s spring break. That means free movie tickets, and lots of family-friendly films all week! If your break doesn’t match ours don’t despair! These arthouse volunteer-run theaters offer great kids programs including $.25 kids matinees EVERY Saturday. And you can’t beat the popcorn and candy prices either. Sometimes you just need a place to let the kids run, skip and bounce out that energy they’ve been storing all winter. Busy Bodies Bounce Town is the solution. With wristband access you can spend an hour, go grab a bite to eat and come back later that day to wear them out before the car ride home. The Michigan Legacy Art Park is a hidden gem, and worth a drive to Crystal Mountain in Benzie County. Discover larger than life sculptures tucked between the trees along a beautiful hiking trail. These permanent art installations are impressive any time of year. March and April can still be snowy in the woods, so wear your boots, or rent a pair of snowshoes. Scalawags Fish & Chips in downtown Traverse City is the perfect lunch spot for the whole family. The restaurant is decorated tip to tail in fishing-themed memorabilia and artwork. The fish is incredibly fresh and prepared right after you order. Tell the kids to watch for Spongebob as he pops up every time the front door opens. If you’re entertaining teens or tweens and the weather isn’t cooperating, I’ve got just the place for you. Lucky Jacks has indoor fun for the whole family. From bowling and laser tag, to arcade games, bumper cars and did I mention they have a full restaurant and bar? Yep, this spot checks a lot of boxes for some good old fashioned family fun. One of the nation’s largest historical renovations is taking place just off the beaten path in Traverse City. The Village at Grand Traverse Commons is a former state asylum with stunning 19th century architecture, and a fascinating history. Sign-up for a guided historic tour of the buildings, or spend your time hiking the trails all around Traverse City’s central park. Ask for the path to the hippy tree for an instagrammable discovery. Traverse City is blessed to be surrounded by water. As Michiganders we want to ensure the importance of the Great Lakes is not lost on our youngest adventurers. Kids can explore our watery resources in hands-on exhibits, playscapes and activities at the Great Lakes Children’s Museum. The Sleeping Bear Dunes National Lakeshore is always on our list of things to do with kids. On a sunny day the views of Lake Michigan are blue and beautiful no matter the season. Hiking the dunes or riding a bike along the Heritage trail are great springtime adventures. Start at the Visitors Center in Empire and ask about the Jr Ranger program for some activities that will entertain and educate the youngest visitors. So when it’s too warm for snowmen, but too cold for swimming, there are still plenty of things to do with kids of all ages in Traverse City. If you live here, it’s a good reminder to get out and enjoy the reasons why. If you’re traveling to Traverse City…welcome! The trees might be leafless, and the pot holes large, but activities abound for you and your traveling band. Who needs basketball match-ups when you can battle it out to see which Riesling reigns supreme! Left Foot Charley is getting in on the March Madness with a Riesling wine contest. 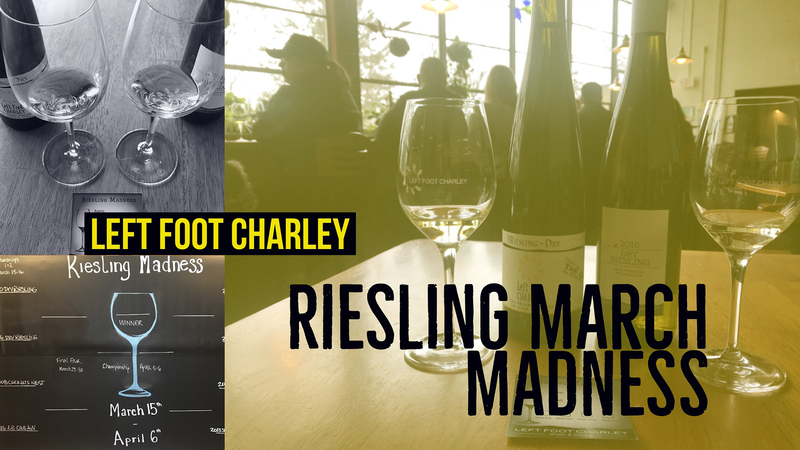 Beginning Thursday March 15 and running for four weeks they will match up current and previous vintages of Left Foot Charley Riesling in a bracket-style tournament. Stop by their winery located at The Village at Grand Traverse Commons to taste, compare and vote for the winners on Thursday and Friday of each week. Left Foot Charley has chosen 8 wines for the field that range from dry to sweet, pulling from vintages as far back as 2008, including a rare Riesling collaboration never previously offered for tasting or for sale. The cost is $5 for the samples and the opportunity to vote. Guests who participate each week will be entered to win a $25 Left Foot Charley gift certificate. We can’t resist a good Riesling, and Left Foot Charley has been producing them for years. Get in on the March fun and join the Riesling Madness. Specialty food pairings from Trattoria Stella as well as cheese and accoutrements will also be available for purchase. Glass pours and bottle sales are a way to extend the enjoyment – and perhaps pick up something unexpected. 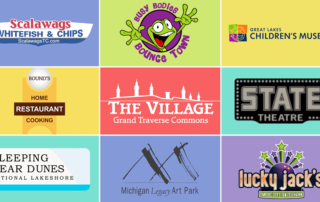 Traverse Traveler is proud to announce several free events this week to celebrate autism, promote awareness, and raise money to purchase iPads for students with autism in the Traverse City community. This year we have once again teamed up with the Northwest Michigan Autism Resource Network (ARN) to bring three free events to the Traverse City community. All community members are invited to a free screening of the brand new 2015 documentary, How to Dance in Ohio at the State Theatre. 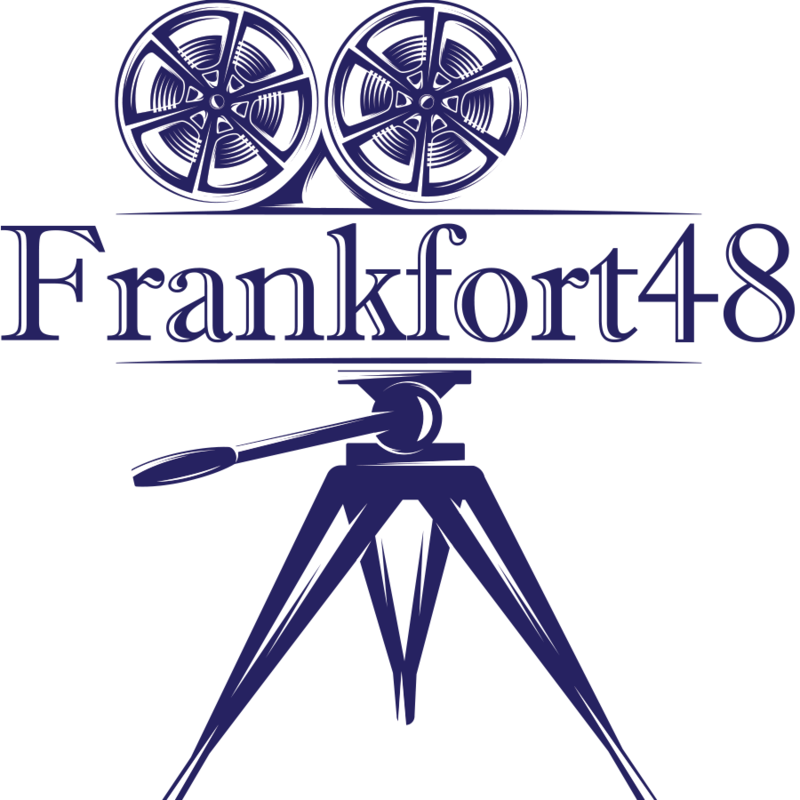 This film has been well received on the film festival circut and will make its debut at The State for our event. The documentary follows a group of teens with autism who spend 12 weeks preparing for a typical teenage rite of passage: a spring formal. Learn how these students tackle the social skills needed to ask someone on a date, invite them to dance and explore the complex world of social dynamics. More information about the film here. Families of children with autism are invited to join us for a special party at Lucky Jack’s on Garfield Ave where we will Light up the Lanes in their honor. We’ve planned an evening of fun and games including free bowling, treats, and activities. The eight-lane, private 300 Club at Lucky Jack’s as well as the adjacent party room will be reserved for this special event. This is an open house event with no reservations required. Sound and light levels will be moderated for this free showing at The Bijou in honor of Autism Awareness Month. 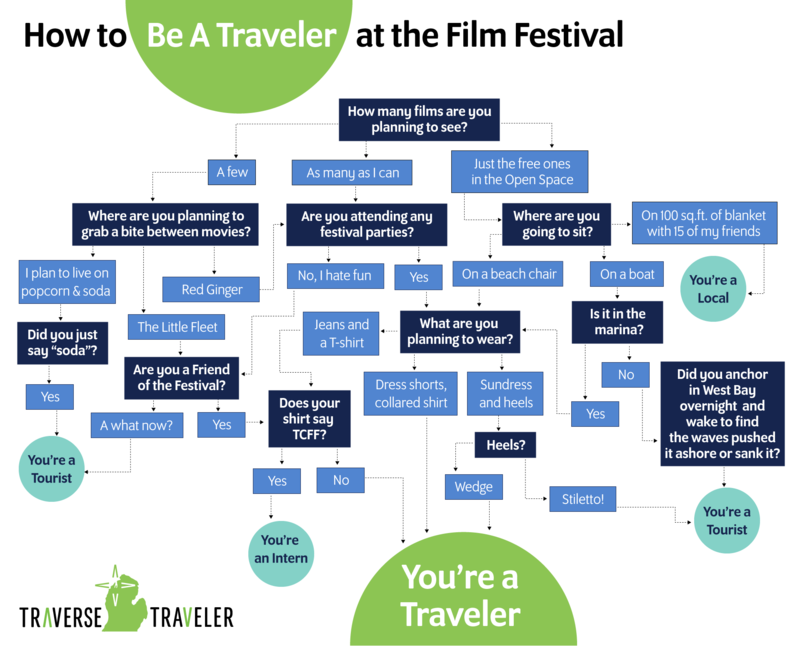 Children of all ages will enjoy Rio2, while parents relax knowing that if they get a little loud, or need to get up and move, it’s OK.
Traverse Traveler remains committed to our mission of building awareness about autism, and fundraising to support children with autism in our local schools. In the last three years we have raised over $27,000 and purchased 52 iPads for students with autism in the Traverse City area public schools and T.B.A.I.S.D. We are grateful for the support of our sponsors and donors. If you would like more information about donating or supporting students with autism in our schools please feel free to email brandy@visitorsmedia.com. 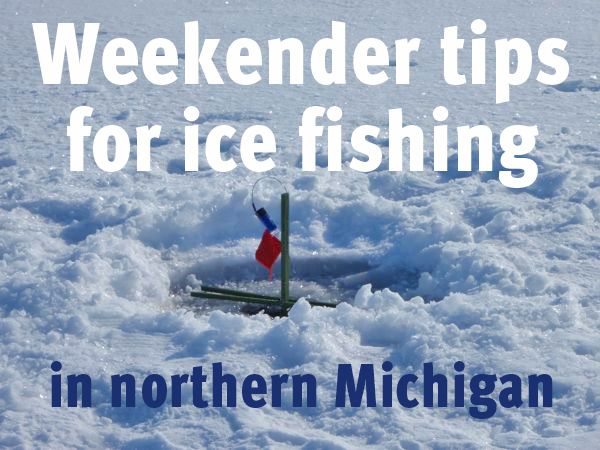 A holiday weekend is the perfect time to enjoy one of northern Michigan’s favorite outdoor activities: ice fishing. And it’s not just locals who are itchin’ to go fishin’. Visitors come from miles around to catch their limit on our frozen lakes. Here are a few tips from a local for the casual weekender who wants to give ice fishing a try —from advice on equipment, to safety and a fish finder for area lakes. These tips won’t guarantee a prosperous catch, but they’ll set you up for a fun, safe angling adventure on Michigan’s frozen playgrounds. The first thing every angler needs is a license. And the MDNR offers several options. You can now buy an e-license online anytime at mdnr-elicense.com. There are three licensing options: one-day license, season license and a new 72-hour all species license. The last option is great for the weekender as it’s available to residents and non-residents for $30. Fish for free on one of Michigan’s free fishing weekends. Mark you calendars for February 14-15, 2015 for this winter’s free weekend. Here’s a list of the basic equipment and supplies you’d need for an afternoon out on the ice. And like most sports and hobbies, there are the necessities, and then there are thousands of variations, and upgrades that can expand the options, and empty your wallet. These are the nuts and bolts. You take it where you want to from here. Bait: for tip-ups use minnows like golden shiners or blues. For rods use wax worms or artificial bait like jigs and spoons. Tip: Don’t forget to keep the receipt from the bait shop if you buy live bait, like minnows. Live bait must be certified to prevent the spread of disease. 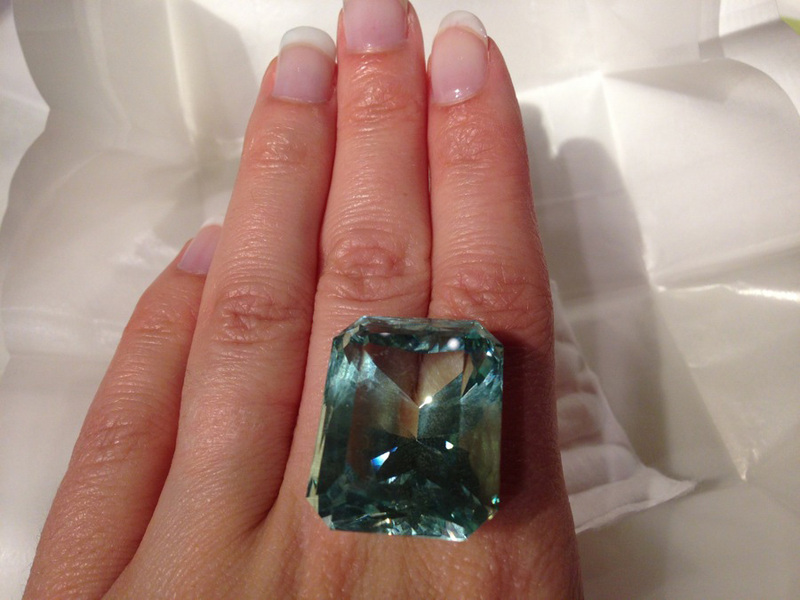 DNRE officers may ask for proof of purchase. Safe ice is thick ice. Four inches is recommended for safely fishing on Michigan’s inland lakes. If you’re heading out with a snowmobile or ATV, err on the side of caution and wait for 5″-6″ of ice. Watch for holes, cracks and open ice. Freshly abandoned ice fishing holes are a quick way to twist an ankle or worse. Anglers often leave branches or markers in their abandoned ice holes as a warning, so keep your eyes open. Bring emergency gear. Safety spikes are a great solution, and can be worn around the neck. They look like a short jump-rope with handles on the end, each equipped with a spike. If you fell in the ice you could use the picks to pull you out. A lifejacket and some rope are a good back-up plan. Don’t fish alone. 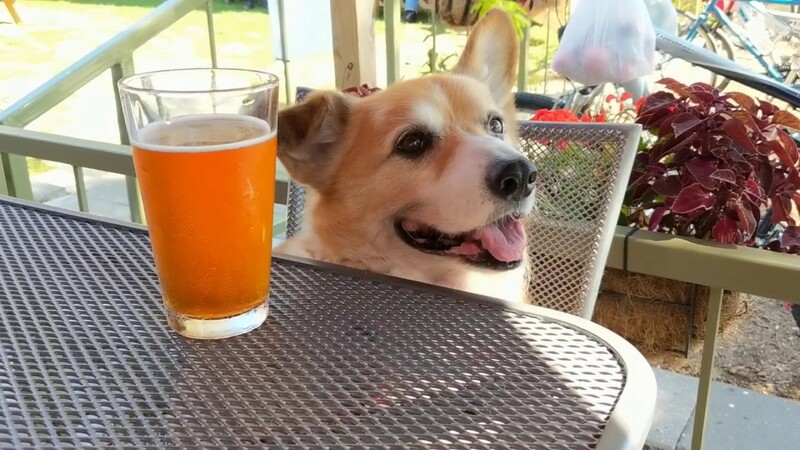 It’s not as much fun anyway, so bring a buddy. Tip: If you’re unsure about the safety of lake ice, get some advice from the bait shop or a local. Many small inland lakes are not ideal for ice fishing because they’re spring fed. The way the ice forms can also determine whether it’s strong enough to support additional weight. So if you don’t see any tracks, or evidence of activity on the surface, don’t venture out, especially alone. There are dozen of lakes in northwestern Michigan that could be great for fishing. And certain species thrive in specific lakes. Here’s a short guide to some of the most popular species, and where you can find them. For walleye visit Long Lake in Traverse City, and Lake Leelanau on the Leelanau Peninsula. Tip: Know your limit, and stay within it. The DNRE limits the catch on each species, and limits vary. Check out the MDNR website for all the details. What if the homeless no longer had to be without a warm bed on a cold night? Just stop and think about that for a minute. Imagine you’re a mother with two young children and you’ve run out of options. Your car is nearly out of gas. The temperature is in the single digits. It’s New Years Eve and you have nowhere to go. Goodwill Inn is full, and the other shelters in town won’t allow children. You call a crisis center and the best advice they can give is to find a store that’s open 24-hours and keep moving. With two children? All night? This is the call that Kathy Kelly answered one night while volunteering at a crisis center. It’s also the reason Kathy has been honored by Choice Hotels — recognition for the choice she made to help this mother, and many more, with a warm bed for the night. That bitter evening Kathy made a decision. “I run a hotel and we have a room. I’m going to send them over there.” Working with the Northwest Michigan Community Action Agency, and Third Level Crisis Intervention Center, Kathy was able to house this family for the night through the use of the hotel voucher system. The vouchers are obtained by those in crisis and presented to hotels willing to participate in the program. Hotels are reimbursed at a reduced rate for the room. A room that would otherwise sit vacant. Hotel occupancy in the coldest months can average 65% in Traverse City. That’s a lot of rooms. That option alone could give a warm bed to anyone who finds themselves desperate for shelter with nowhere else to go. In this economic climate the face of homelessness has changed. In many cases it’s families who have found themselves in a situation they never expected. “I think we all know that just a couple changes in circumstances and that could be any of us,” said Kathy. In 2014 Sleep Inn & Suites Acme received roughly 100 vouchers to provide shelter for those in need. They also worked with Cherry Capital Cab owner Doug Dornbos, who offered transportation support. Thanks to Kathy’s commitment to grow the voucher program six more lodging properties have come on board. This program is making a difference in Traverse City. Meanwhile Kathy is looking at the big picture. “I took it to Choice Hotels only to say, hey we’ve created a model here that could work – it is working. You have hotels in every city, in every state of this Country. You can take this on at a much bigger level.” Thanks to Kathy’s passion and persistence they are inclined to listen. Choice Hotels recognized Kathy Kelly with a 2014 Service Hero Award for her commitment to helping the homeless. Traverse Traveler is proud to share her story with the hope that it inspires more Traverse City hotels to join the effort to help the homeless in our community, one room at a time. Congratulations Kathy! Traverse City in September is the place to be if you’re a hockey fan! The NHL Prospects Tournament begins this week at Centre Ice Arena in Traverse City. Today organizers announce a special one-time event. 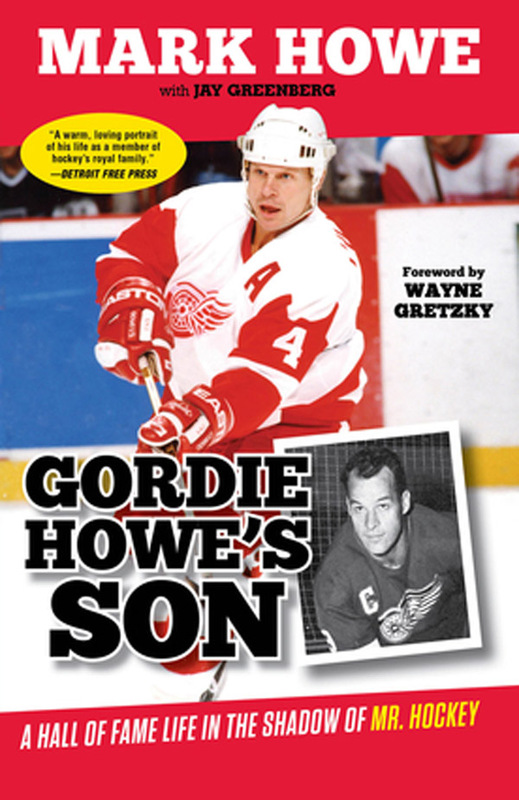 NHL Hall of Famer Mark Howe, son of Mr. Hockey himself, will be at Centre Ice Arena this Saturday September 13, 2014 from 9 am – 11 am to for a book signing. In a last minute addition Mark will return to Centre Ice for an additional signing Friday, September 19, 2014 from 8:30am – 9:30am. Detroit Red Wings fans will have the opportunity to meet Hall of Fame legend Mark Howe. He will be signing copies of his new autobiography Gordie Howe’s Son: A Hall of Fame Life in the Shadow of Mr. Hockey. Only 200 copies of the book will be available, with a limit of 2 signed copies per person. No other memorabilia will be signed at this event. Expect a big line as NHL and Detroit Red Wings fans are beginning to find their way to Traverse City for the upcoming NHL Prospects Tournament (September 12-16th) and Detroit Red Wings Training Camp (September 19-23rd), both hosted by Centre Ice Arena. Tickets are still available for these events. Can’t make it up for all the action? Follow along on TheLeftWingLock.com as they report the play-by-play… so to speak. Onto every vacation a little rain may fall. But don’t let bad weather ruin your trip to Traverse City. You just need to give your plans a little flip. Today we’re going to explore three indoor attractions that offer activities for everyone in your family. We’ll turn those rainy frowns upside-down! Rainy Day v.3 from ExploreTC on Vimeo. When mother nature throws a wet blanket on your outdoor family fun, head to Lucky Jack’s, where blue skies are not required. Inside these doors you’ll find 50,000 square feet of boredom busting fun! Locally owned for over 50 years Lucky Jack’s is the largest bowling center in the region. With bumper rails and ball guides kids of all ages can stay out of the gutter and score a strike. Need to burn off some excess energy? Suit ’em up for a challenging game of laser tag. Or test your skills in the arcade. Keep track of all your activities and points with the Fun Card, then cash in, for the loot of your choice. Lucky Jack’s knows how to keep kids and parents happy. Did I mention they have a full bar, and some of the best pizza in town? 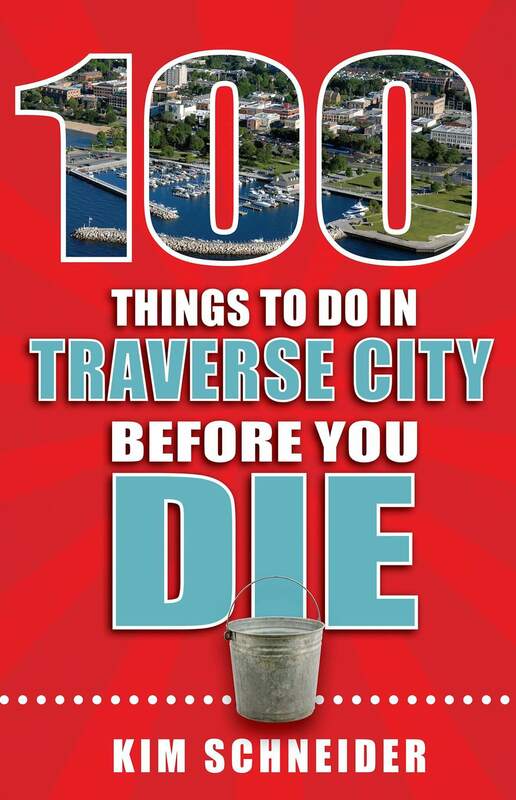 That’s why they’re known as Traverse City’s FUN Destination. Let’s face it, the little kids aren’t the only ones pouting when plans get cancelled due to weather. When it’s too rough to fish, or to wet to golf, the temperature’s always perfect at Shooters Indoor Gun & Archery Range. Northern Michigan is a hunter’s paradise. And this place, is where they come to hone their skills. Shooter’s 8 lane firearm range allows shoppers to try before you buy. They even offer lessons if you’re new to the sport – like me. If archery is more your style take aim at one of 15 life-size targets in their 3-D course. Or step inside the technoHUNT simulator where you can stalk a whitetail deer or an animal on safari. From guns to ammo to bows and arrows Shooters can outfit any Michigan sportsman —or woman. So visit Shooters. Where they aim…to please. Update: The Cherryland Antique Mall is now closed. However antiquing in the area is still a great rainy day option. On a sunny day you’ll find our downtown streets are filled with shoppers. So what’s a girl to do when she’s dying to buy something new, and window shopping is out of the question? How about searching for something new to you. The Cherryland Antique Mall is filled with treasures of times gone by. It’s a far cry from the hot dusty flea markets and auctions my parents used to drag me to. Here you can browse to your hearts content, in air-conditioned comfort. I can spend hours strolling through these isles. Booth by booth you’ll find a wide variety of antiques, furniture, vintage jewelry, memorabilia and collectables. Why not pick up a unique souvenir from your trip up north… one with a little history attached. The knowledgeable dealers at the Cherryland Antique Mall will help you find just what you’re looking for. So when your plans are cancelled because the forecast is wet, remember these rainy day ideas for a Traverse City vacation you’ll never forget. 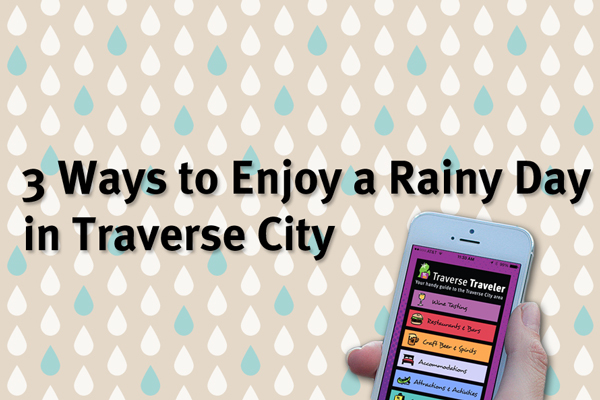 Download the Traverse Traveler app for directions to these — and many more — rainy day attractions. Cherry Festival is over, but the cherry season has just begun. Local cherries are the gems of the northern Michigan summer. Each year we anxiously await the arrival of the ruby fruit that brings visitors to the area, and keeps many of our businesses running. 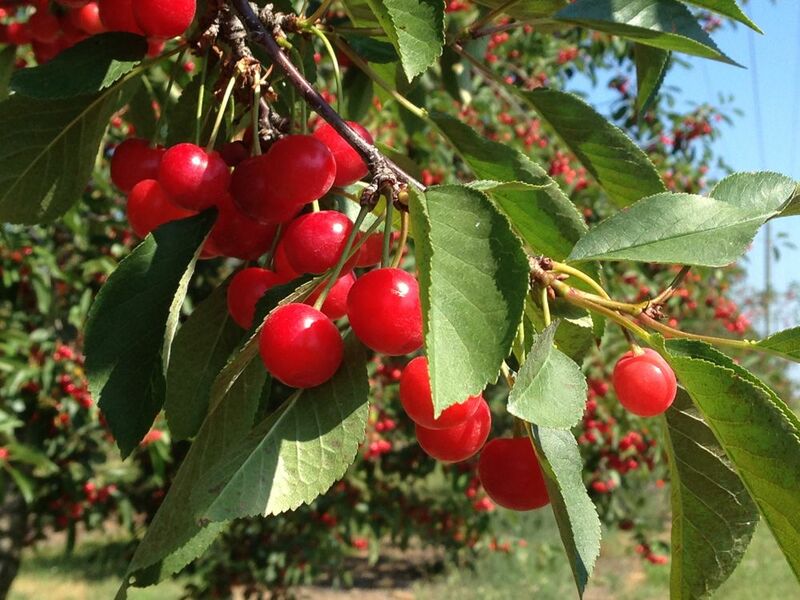 Whether you like sweet cherries by the pound, tart cherries for your pies, dried cherries for snacking, cherry wine or cherry products, you can find it in the Cherry Capitol of the world… Traverse City. Some of my favorite childhood memories are from roaming the U-Pick farms. We’d lug around our galvanized buckets and climb the rickety old wooden ladders to carefully select the largest, juiciest, ripest cherries. When the buckets were full, or too heavy to carry, we’d know it was time to go home. It took a long swim in the lake to get rid of the purple stained fingers, but it was worth the memories. If you’re looking to pick up some fresh cherries on your visit up north there are plenty of options. A drive along the Old Mission or Leelanau Peninsula will offer several roadside opportunities to buy direct from the grower. And you can’t beat the scenic views along the way. Eating fresh washed cherries from a roadside stand always makes my Summer To-Do List. For those of you who prefer your cherry products without the pits, Benjamin Twiggs in Traverse City has everything you could ever need. From cherry-themed merchandise, to cherry products of all kinds, you’ll find all your cherry dreams come true at Benjamin Twiggs, the oldest cherry purveyor in Traverse City. And they’ll even ship if you’re craving a taste of Michigan from far away. For an inexpensive cherry pit remover try placing a metal pastry tip on your finger and pushing them out. A bobby pin or a bent paper clip can be used to scoop out the pit and only leaves one hole. Traverse Traveler is proud to announce several free events this April to celebrate autism, promote awareness, and raise money to purchase iPads for students with autism in our community. 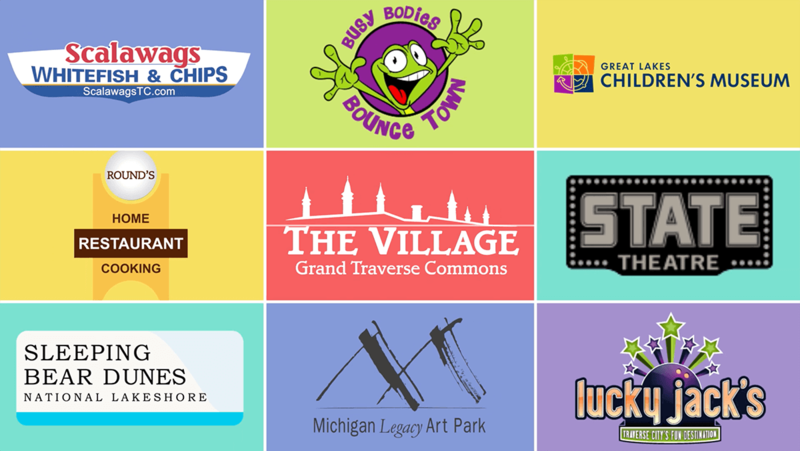 This year we have teamed up with the Northwest Michigan Autism Resource Network (ARN) to bring four free events to the Traverse City community. To kick-off Autism Awareness month we’re inviting families of children with autism to a special party at Lucky Jack’s on Garfield Ave where we will “Light it up Blue” in their honor. We’ve planned an evening of fun and games including free bowling, treats, and activities. The eight-lane, private 300 Club at Lucky Jack’s as well as the adjacent party room will be reserved for this special event. All community members are invited to a free screening of the 2009 documentary, The Horse Boy at the Bijou by the Bay theater. This hit on the film festival circuit chronicles the journey of the Isaacson family as they travel to Mongolia hoping to find a nomadic shaman to heal their five-year-old son’s autism. 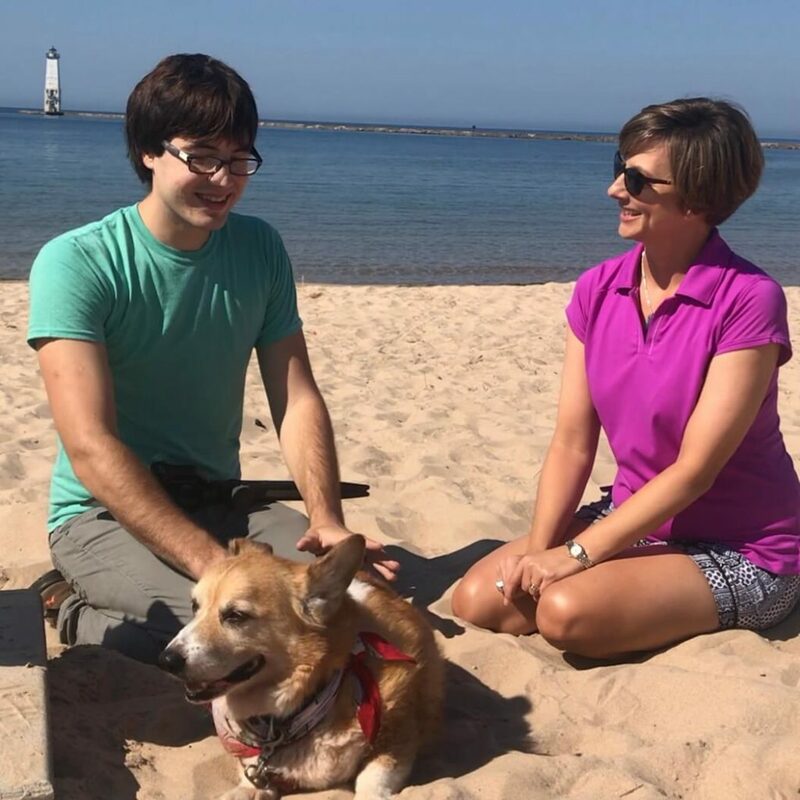 A moderated panel discussion will follow the movie, offering the community a place to ask questions, dispel myths and learn about how autism affects people in the Grand Traverse area. Karin Chandler, founder of Life Solutions for Autism, will speak on developing a childs skills to enable independence at the regular ARN monthly parent support group meeting. Advocating for and Empowering Children with Autism will be presented at Munson Medical Center room 11 (lower level). Sound and light levels will be moderated for this free showing of one of Thomas the Tank Engines feature-length adventures. Children of all ages will enjoy Thomas & Friends: Misty Island Rescue, while parents relax knowing that if they get a little loud, or need to get up and move, it’s OK.
Traverse Traveler remains committed to our mission of raising funds to help children with autism in our local schools. In the last two years we have raised over $25,000 and purchased 47 iPads for TCAPS students with autism as a partner in education. This year we will continue to raise money for ipads through voluntary donations collected at all events. In addition, we’re thrilled to announce all four Traverse City area Walgreens stores will collect donations for iPads for autism throughout the month of April.